Sorry this isn’t much of a picture, but world, meet Kira. Kira, meet world. He’s my new betta, and sits on my bookshelf above my PC. 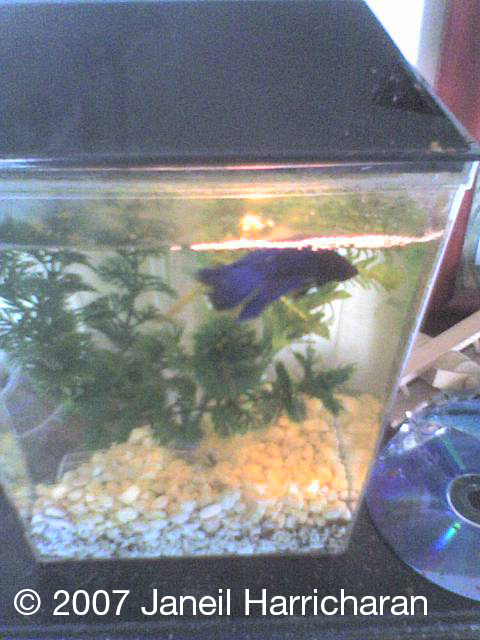 He doesn’t have a bad setup, but I do have to change his water a lot more often because of no filtration system. Still, he has a pretty good life. Much easier than keeping a bit 30-gallon tank, I will admit.